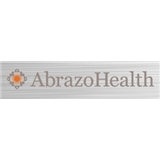 Abrazo Medical Group Denaro Plaza (Peoria) - Book Appointment Online! This practice is technologically advanced, yet the people there are friendly and down-to-earth. Dr. Bal impressed me by being able to address which of my medications needed to be updated or dropped--I wasn't expecting such a thorough examination on my first visit. Also, I enjoyed the phlebotomist's wall of jokes!